Matt White was just doing some evening grocery shopping when 16-year-old Chauncy Black asked him for a box of donuts, in exchange for help carrying his groceries out to his car. Matt agreed, then asked Chauncy about himself. He was humbled and saddened by the teenager’s story, and immediately decided he had to do more to help this young man. Chauncy grew up poor, and his 61-year-old grandmother, who he calls “Mom,” is unable to work because of her diabetes. That’s why he chose to take the bus to what he calls the “rich people Kroger” at 9 p.m. and ask people for food if he helped them with their groceries. In his Facebook post about what happened, Matt mentions that Chauncy’s demeanor indicated that he had already been turned down quite a few times. 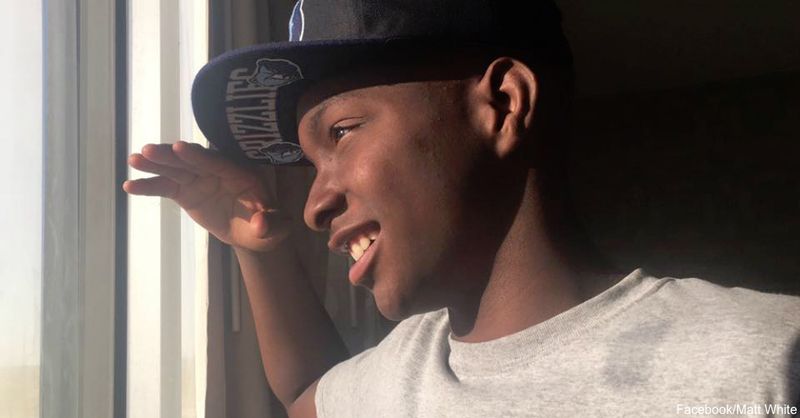 As Matt took the time to learn a little more about Chauncy, he decided that the teenager would benefit from more than just donuts. According to The Washington Post, Chauncy told Matt about how he had almost nothing at home, but that he got straight A’s in school and wanted to get a job. He hoped to be wealthy some day so he could help those in need. Impressed by the teen’s work ethic, Matt got a bit of everything for Chauncy, and then took him home. When they got there, Matt saw that Chauncy was telling the truth, as he really had hardly anything, not even a bed. The page was such a huge success that Matt had to keep raising the goal, and it has already raised over $300,000. The money is going into a legal trust to help Chauncy and his grandmother start a new life. 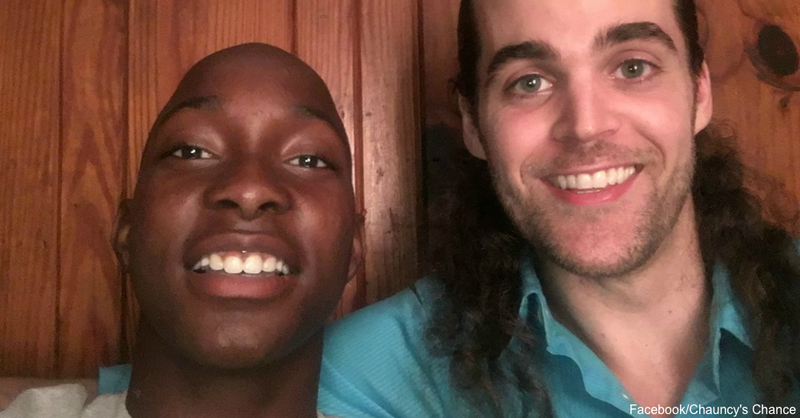 Matt White’s kindness has changed Chauncy’s life, and is a touching example of helping a stranger in need. The compassionate hearts of strangers just never fail to amaze us, like this state trooper who shared a meal with a homeless woman.